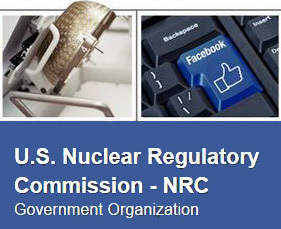 Now we can start measuring the life of our official NRC Facebook page in years. One year ago we published our very first Facebook post. In that welcome message we said we were excited about using our new platform to enhance interaction with the public. We think we’ve had some success in this area. Our posts are certainly viewed and shared by the Facebook community, our links are clicked, and some of our posts prompt comments. So far, about 1,900 people have liked our page, and more than 17,000 have engaged with our content in some way. Though some ideas for content have been less popular than others, we’re enjoying the process of learning what our audience finds most interesting. For example, we’ve discovered that people are most engaged with our Facebook posts that highlight and link back to this blog. That’s important to us because we see that our strategy to cross-pollinate our social media platforms is effective. It broadens our audience. After all, we want to reach as many people as possible. Also well-received are posts that leverage the popularity of social media trends like Throwback Thursday and those that shine a spotlight on the people who make up our organization. We’re learning that our audience is best served by a mix of content that covers both the serious and complex nature of our mission, and which allows us to be a little more lighthearted. Check out the post we published on July 15 recognizing National Ice Cream Month, and how the NRC has a hand in making this delicious treat. We’ve been using social media for several years now, but we are just getting our feet wet with social networking. So we’ll keep plugging away trying to refine our communications on Facebook and our other platforms to best inform, engage and expand our community. As a member of the nuclear industry, it’s nice to know that the NRC is focused on National Ice Cream month.